Upgrading to Intel 8th gen processor? Great move! The next thing you will be needing is a good Z370 motherboard to assemble the powerful processor and other components. To help with that, I have laid down the list of best Z370 motherboards along with tips for building an Intel 8th gen based gaming PC. Let’s begin. Last year, Intel launched their latest 8th generation Coffee Lake processors that are superior in performance and definitely worth the upgrade. So, if you are looking forward to building a high-end PC with an i7 8th gen processor, a Z370 motherboard is a must. These new processors from Intel can have more cores and that’s why require more power. The Z370 motherboards are uses with improvised power design to cater the demand of power for more powerful CPUs. While it helps to make the processors run at their maximum potential, the new power design makes them incompatible with the older Sky Lake and Kaby Lake processors despite the same LGA 1151 socket. So, the question arises – shall you upgrade to Z370 motherboard and what are good Z370 motherboards to choose from. Well, I will be answering these questions later, but first, you check out the list of the best Z370 motherboard for Intel i7 8th gen coffee lake processors. 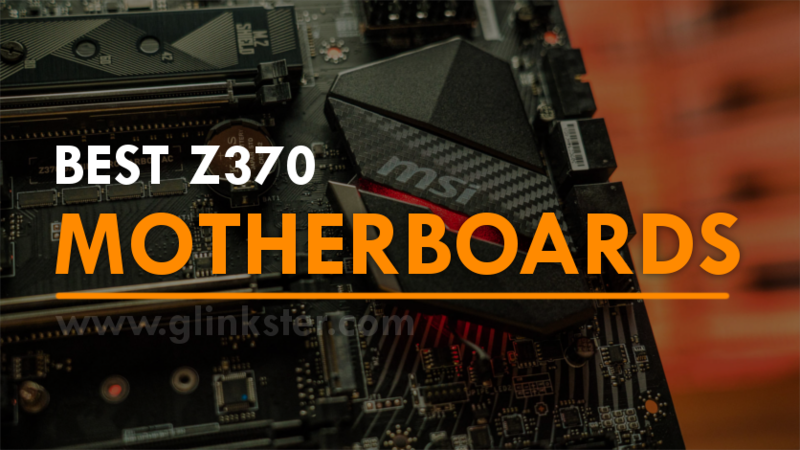 I have reviewed some of the top Z370 motherboards for making your next gaming PC! 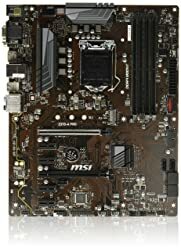 The reviews of each motherboard include my thoughts about the mobo as well as its pros and cons. Let’s begin. To begin with, the MSI Z370 Godlike Gaming is my first choice as the best Z370 motherboard. Features-wise, it is the most advanced motherboard available now for the newest Intel Core 8th gen coffee lake processors. Install an i7 8700k with dual graphics cards to unleash the beast what it is. One of MSI’s trademark feature is the Steel Armor which can be found on most of their gaming motherboards. The MSI Z370 Godlike Gaming also comes with steel armor for PCIe slots and DIMM slots ensuring longer lifetime and reliability. There are four PCIe x16 slots that means there won’t be any speed issues no matter which one you use for GPU. All these slots are spaced evenly allowing you to install multiple GPUs easily. This Z370 motherboard supports both Nvidia SLI as well as AMD CrossfireX. Having my own two GTX 1080 graphics cards, I was able to install them both but not in the consecutive slots because GTX 1080 is a bit thicker. For the memory, there are 4x DIMM slots and you can shove in 64GB DDR4 RAM kit which can be overclocked up to 4133MHz. The slots are well isolated and shielded to ensure pure memory signals giving you an edge in your games. Talking about gaming, MSI Z370 Godlike Gaming motherboard comes with MSI Game Boost which enables one-second overclocking that boosts the performance. In fact, there’s a special knob on the board which you can simply turn to switch to OC mode and Game Mode. You can practically push the processor to 5.4GHz with the Game Boost and that’s gonna put your games one fire! For storage, This z370 motherboard comes with six SATA 3.0 slots and 3x M.2 slots. So you can have the fastest storage you can ever imagine. On top of that, you get an M.2 Xpander which allows you to install two extra NVME SSDs. So, technically, if you can afford it you can have an all SSD system as well! On the aesthetics front, you nothing less than a LED light show! There are multiple light zones and single LED’s to lighten up the whole board. You can customize each and every bit of it using the Mystic Light Sync. Though personally, I feel the lighting is a little extra, the RGB enthusiasts are gonna die for it! 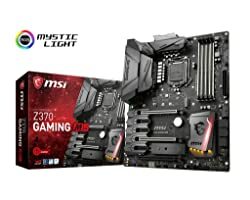 MSI Z370 motherboard offers best in class connectivity with 8x USB 3.1 ports including two USB 3.1 Gen 2 ports. For ethernet connection, you get 3x RJ45 ports turbocharged with Killer E2500 controller. Also, there is an inbuilt dual Band WiFi module on the top. Additionally, there are a lot of troubleshooting features to make sure the plethora of components run without any issues. Overall, MSI Z370 Godlike Gaming is definitely a feature-heavy motherboard, in fact, not everyone needs all that. So, I personally do not recommend this one for enthusiast gamers as this is meant for professional eSports gamers. In my opinion, MSI Z370 Godlike Gaming is the most premium Z370 gaming motherboard. If you are not a professional gamer, go with other options on this list. The next one comes from Asus, a well-known brand for motherboards. I am talking about the ASUS ROG STRIX Z370-E which brings a lot of features at a price that won’t leave you broke! With WiFi support, dual M.2 slots, 6 SATA slots and 7 PCIe slots, the Asus ROG Strix Z370-E motherboard almost matches a premium mobo without a premium price tag. Those who regularly visit Glinkster would know that I have been making gaming PCs of sizes and have recommended the same Asus ROG Strix series mobo as the top mATX motherboard. Going with same lines, I made my new ATX build with Asus ROG Strix Z370-E and totally loving it! This Z370 motherboard has got all that you would need for both gaming and work. With six SATA ports, seven PCIe slots and the two M.2 socket setup, this mobo fulfills almost all the requirements whether it is for a gaming beast or a powerful workstation. For the graphics, you get multi-GPU support for using up to 3 graphics cards. With Nvidia 2-way SLI Technology, you can two GPUs while with AMD 3-way CrossfireX technology, it allows you to shove three GPUs on a single motherboard. Though it is damn cool to have three graphics cards, they add to the overall cost of your PC. This Asus Z370 motherboard comes with 4 DIMMs slots which support 64GB of DDR4 RAM at 4000MHz max when overclocked. That’s the epitome in terms of memory. Also, there’s support for Intel XMP. What made me choose this z370 mobo from my new build was the Asus Pro Clock Technology for extreme yet stable overclocking. This hassle-free solution allows you to increase the base clock to 432MHz and attain the CPU clock frequency of up to 5.5GHz. Personally, I was able to overclock my i7 8700k up to 5GHz on this motherboard. When it comes to overclocking, cooling becomes a necessity and Asus has done proper arrangements for the same. This motherboard comes with dedicated heatsinks and a 5-way optimization for cooling that automatically selects optimal cooling profiles with help of temperature sensors and the Asus Fan Xpert 4 that controls the fans accordingly. As far as the aesthetics are concerned, you get Asus Aura Sync RGB lighting that allows fully customized lighting on the motherboard as well as the PC case. So, you can show off all the gaming swag! Asus offers top-notch build quality and features at an affordable price. In my opinion, this is the best Z370 motherboard for i7 8700K gamers! Just a small word of advice here – Make sure you update the BIOS regularly for the best compatibility with RAM and Overclocking. Next up on our list of best Z370 motherboards, we have the ASRock Z370 Extreme 4 which gives tough competition to the Asus ROG Strix in terms of features as well as the price! First off, the thing that impressed me is the dual-channel DDR4 RAM supporting 4333MHz (O.C.) memory speed which is the highest among all other options on this list. There are 4 DIMM slots having 15μ gold contact which can accommodate up to 64GB of RAM. The memory module is also supported by the Intel Extreme Memory Profile (XMP 2.0). So, in the RAM department, the ASRock Z370 Extreme4 definitely excels beyond the limits! But that’s not all. You get 8 SATA 3.0 6GB/s slots and two Ultra M.2 slots that deliver up to 32Gb/s transfer speed. Such data transfer speeds are practically translated into lesser game load times and lesser wait in between game levels too. There are 6 PCI Express 3.0 slots on board out of which three are PCIe x16 allowing you to install multiple GPU. To deliver extreme graphics, the ASRock Z370 Extreme4 comes with AMD Quad CrossFireX and Nvidia Quad SLI technology. The PCIe Slots are also covered with Steel shells to reduce interference and ensure that the heavy graphics card are secured well in place. For connectivity, you get a lot of options including four USB 3.1 Gen 1 ports on the Rear panel while 2 USB 3.1 Gen 1 ports on the front panel which is much impressive! The Realtek ALC1220 Audio Codec ensures high definition 7.1 channel audio output for a better sound experience both in-game as well as media. With such features, you can simply understand ASRock has focussed on delivering the best on the performance front and saved some cost at the aesthetics department which a simpler color scheme. But, for customization enthusiasts, there is support for full RGB lighting that can be managed via a standalone app. A clear downside here is that the overclocking can be a tough affair with ASRock Z370 Extreme4 because there is no utility or direct way to get things overclocked in a single click. Also, the voltages are not that much to support extreme overclocking. Considering everything about ASRock Z370 Extreme4, I can safely say that this one is the best mid-range Z370 motherboard available in the market in 2019! If the previous MSI mobo was too expensive for you, let me introduce you to its affordable cousin – MSI Z370-A Pro – which does not cut many features but still cuts the cost by almost a half. With a fairly clean black and white theme, this Z370 motherboard is not very fancy. But the brushed black Steel Armor adds to the aesthetics while also protecting the PCIe slots among others. As this is a Z370 chipset motherboard, you can take advantage of high-speed RAMs. There are 4 DIMMs slots that support up to 64GB DDR4 RAM (dual channel) which can be overclocked up to 4000MHz with Intel XMP support. It is also Intel Optane Memory ready that boosts overall memory performance with modern caching technology. So with all that, technically, you would get better FPS in your games. MSI Z370-A Pro motherboard comes with six SATA3.0 slots with support for RAID 0/1/5/10 and it also has a single M.2 slot which you can use for a faster SSD. There are six PCI Express slots out of which two are PCIe x16 meant for installing dual high-end graphics cards. But the implementation for dual GPU is limited to 2-way AMD Crossfire support. Talking about durability, this MSI Z370 motherboard is more durable for its price, thanks to the Military Class 5 guard Pro and the MSI Steel Armor that make sure all the components are safe and solid in their place. Though this Z370 motherboard offers a lot for its price, still there’s nothing extra here like the RGB lighting etc. The only lacking that kind of hurts me is the absence of HDMI port but it still allows a three display setup. Overall, the MSI Z370-A Pro is a basic motherboard which offers just as many features to take advantage of the latest 8th generation Intel coffee lake processors. In my opinion, MSI Z370-A Pro is the best budget Z370 motherboard for all those who want to upgrade their PCs at a lesser cost. The last one is again a popular Z370 motherboard from Asus – the Asus TUF Z370 Plus gaming motherboard which is a good choice if you are planning to build a high-end PC. Asus has branded this one as “TUF” for its durability and Military Grade components such as TUF LANGuard, TUF Chokes, TUF Capacitors, and TUF MOSFETs ensuring maximum lifetime. This Z370 motherboard has a dual-tone design with black PCB combined yellow accents across the components which compliments the RGB LED lighting on the right edge. This can be customized using the simple Asus AI suite software. It also illuminates the TUF Gaming logo while there no other lighting zone on the PCB. Asus has used intuitive design efforts by reducing the width in the middle to make sure power cable wiring is easier and installation is convenient. What caught my eye while taking the first look at this mobo were the heatsinks with eagle shaped TUF logo. There are two heatsinks, the larger one on the I/O panel and the smaller one above the Z370 chipset, and both have these glossy shining logos. 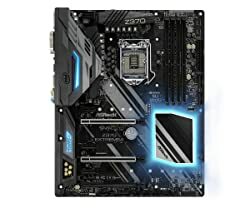 Coming to the storage options, Asus TUF Z370 gaming motherboard has six SATA 3 ports with RAID 0/1/5/10 as well as Intel Optane Memory support. Also, you get an M.2 slot for NVME Solid State Drive but the dedicated heatsink for M.2 drive is missing which is generally present on most mobos. There are a total of 4x DIMM slots for DRR4 RAM (4000MHz max when overclocked) with Intel XMP 2.0 enabled. You can have a maximum of 64 gigabytes of memory on this motherboard. Asus TUF Z370 motherboard allows you to assemble multiple GPUs, thanks to the two PCIe x16 slots that support AMD 2-way CrossfireX as well as Nvidia 2-way SLI so that you can use two high-end graphics cards simultaneously. And, if that not enough, you can overclock your Intel 8th gen CPU in a single click using the OC tuner utility that automatically tunes everything for stable overclocking. Apart from the two PCIe x16 slots, there are 4 more PCIe x1 slots for adding wifi cards or sound cards etc. Talking about cooling, the Asus TUF Z370 motherboard has 5x Fan headers which handle the CPU cooler as well as the case fans or a custom water cooler just in case you want a liquid cooling setup. It also uses Fan Xpert 4 Core to maintain the balance between the air flow and temperature. For connectivity, there are six USB ports (lesser than normal) of which two are USB 2.0 which is a bit of bargain for a lower price. But, there’s an HDMI which is a plus point and a DVI port to attach two displays. Overall, the Asus TUF Z370 Gaming is the most durable Z370 motherboard which is a good choice for building a mid to high-end gaming PC with Intel 8th gen processor. So, these are the top rated Z370 motherboard which can turn your next pc build into gaming beast! Now, Let’s go back to the question that most people are asking me since the release of 8th gen processors. I have answered the same in detail below. 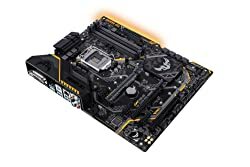 Why Upgrade to Z370 Motherboard? As I mentioned earlier, the Z370 motherboard is a must if you’re intending to use the new 8th generation Intel processors but there’s a lot more a Z370 motherboard has to offer. First off, the combination of 8th gen Intel core processor and z370 chipset motherboard gives you an edge over competitors. No matter if you are fighting your strongest e-sports rivals or just playing your favorite media, the Z370 motherboard keep you ready to compete, thanks to the technologies like Intel Turbo Boost 2.03 and Intel Hyper-Threading embedded in the Z370 chipset. For overclocking enthusiasts and gamers, the Z370 motherboard lets you unleash the epitome of performance. It enables you to overclock cores, graphics and RAM frequencies to make sure nothing comes in between you and your gaming experience! Also, the new 8th gen Intel Core processors come with Intel UHD Graphics which means you can play in 4k Ultra HD resolutions and more immersive gaming with High Dynamic Range (HDR). A Z370 motherboard has the capability for 3 monitor-setup for an ultra wide gaming experience. Here’s a quick video explaining the improvements of Z370 mobo over an H370 or B360 chipset. Apart from the above major improvements, below are some other enhancements that you get with a Z370 motherboard. Learn more about the new Z370 chipset motherboards on the official website of Intel. Now that you know why you must upgrade to a Z370 motherboard, I am sure the next question will be what makes a z370 motherboard worth buying. So, I have explained some important things that you must consider before buying along with some tips to make your choice easier. Intel Z370 Chipset uses the same LGA1151 socket which was used previously in 100 and 200 series. But, as I mentioned in the beginning, the Z370 motherboards only supports Intel Cofee Lake processors despite the same socket design. Yes, Intel Z370 chipset motherboards support NVMe natively and most Z370 motherboards are equipped with two or more NVMe SSD slots. This allows you to install high speed SSD storage on your motherboard for better performance. Below are a few of my personal tips that you must follow as you make up your mind to buy one of the best Z370 motherboards that I have mentioned in this article. First off, go for an ATX form factor unless you specifically need a mini ITX or micro ATX mobo. Make sure there’s support for at least two M.2 drives for faster game load times. Choose a Z370 motherboard with at least 6 SATA 3.0 slots for the better storage volume. There should be at least four PCIe x16 slots for adding different peripherals. Support for dual graphics cards with Nvidia SLI or AMD CrossfireX is always welcome. Must have 4xDIMMs slots for with at least 16 gigabytes of RAM which is enough to pull off most upcoming games. Overclocking abilities are always a plus point, you know the pleasure! WiFi, USB 3.1 ports and 5 Gigabit Ethernet support is a must. To make sure you do not regret it later, just keep these tips in mind while choosing a Z370 motherboard. So, here’s the wrap up of our list of best Z370 motherboards available in 2019. I hope my hours of testing and research has helped you to find the right motherboard for your next Z370 gaming build. In case you are still confused like I was while testing, let me lay it down straight for you. If you want everything possible on a single motherboard, go for the MSI Z370 Godlike Gaming as it is the most advanced Z370 motherboard right now! 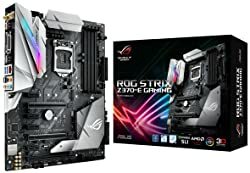 For those who are on a budget and still want to have decent features, Asus ROG Strix Z370E is a great option being the best budget Z370 motherboard. If you only want to have the power of Intel 8th gen CPU and nothing more than that, just buy MSI Z370-A Pro -the most inexpensive Z370 motherboard of 2019. Well, there are a lot of other options available apart from the ones I mentioned in this post. But, somehow they are mostly offering similar features at the similar price range. Therefore, I have included only those Z370 motherboards that actually bring something fresh to the table. I hope you have liked this roundup of best Z370 motherboards. If yes, please share it with your gaming gang and dont forget to tell me in the comments section below about your gaming experience on a Z370 motherboard. Have anything to ask? Drop them i the comments and I will try to answer each and every one. For more amazing gaming stuff, keep visiting glinkster.com! Why Upgrade to Z370 Chipset?